Without LTE and running on just a dual-core 1.2 GHz chip, the Samsung Galaxy Core Advance may sound like just another a mid-range phone. Samsung’s new cover case for the Android handset, however, is pretty forward-thinking. Samsung announced the accessory on Friday, which has an integrated ultrasonic sensor to “see” the world around it. Here’s how it works: The cover emits a high-frequency sound that the human ear can’t hear. Based on that sound bouncing back, similar to radar, the case detects objects or people within 2 meters. When something is detected, the phone can send a vibration alert or even a text-to-speech notification, helping the visually impaired understand what is around them. The cover obviously adds some bulk due to the sensor, which juts out from the top of the phone. But if it helps people with limited or no vision better understand the environment around them, I’d call that a small price to pay. 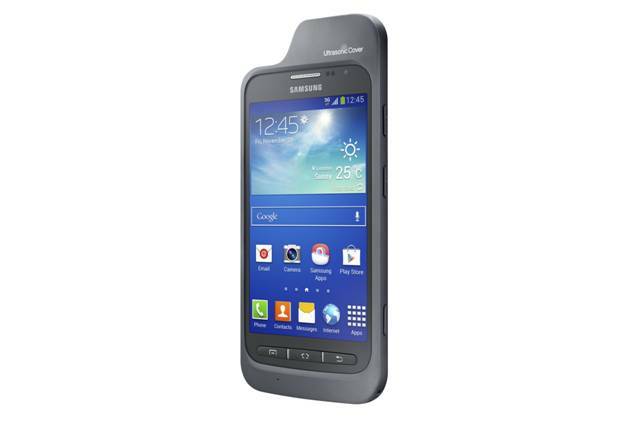 Samsung is also using the Galaxy Core Advance to try other assistive accessories. 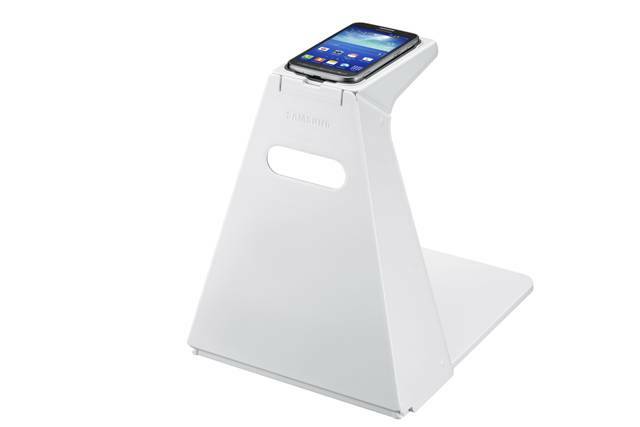 The Optical Scan Stand positions the phone at the right height and angle to automatically scan and read words aloud when it sees text. The company created special NFC tags called Voice Labels that are affixed to objects: when scanned, the phone will read aloud any user-recorded notes about the object.